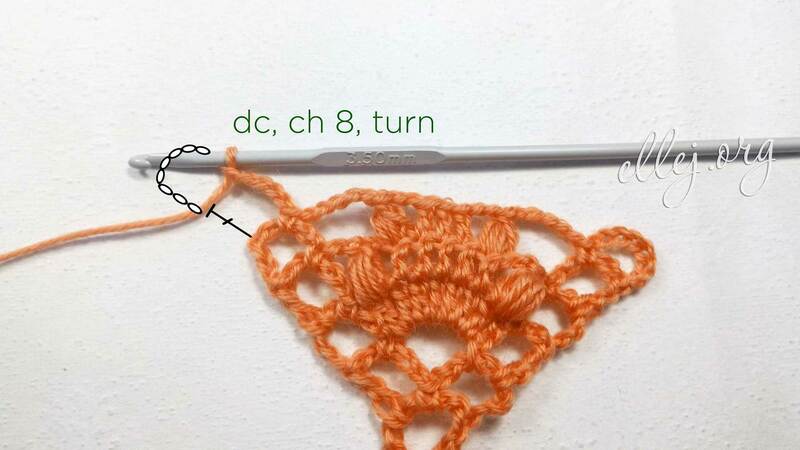 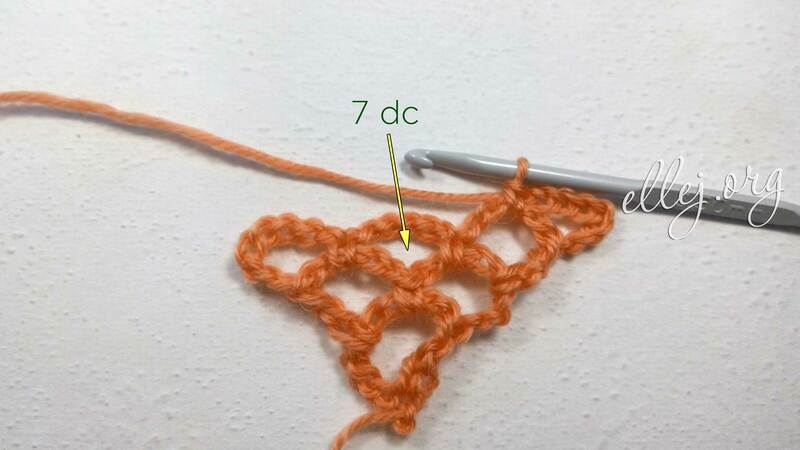 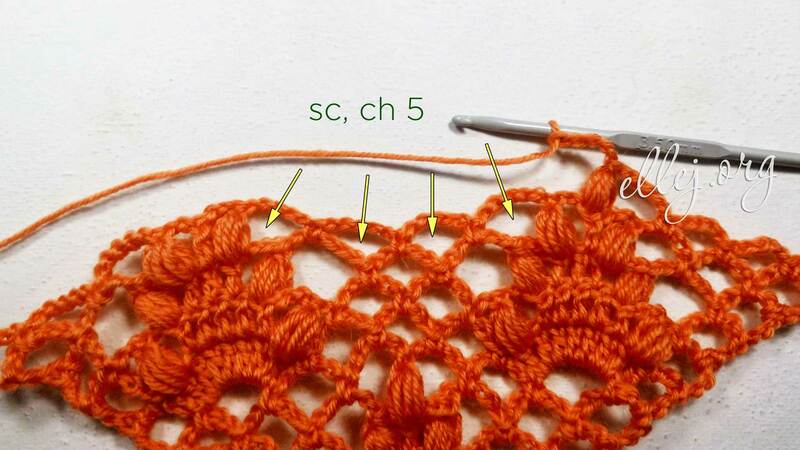 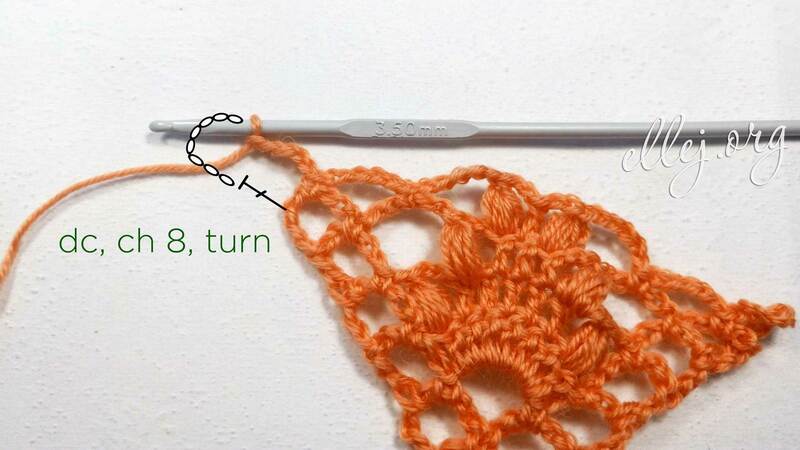 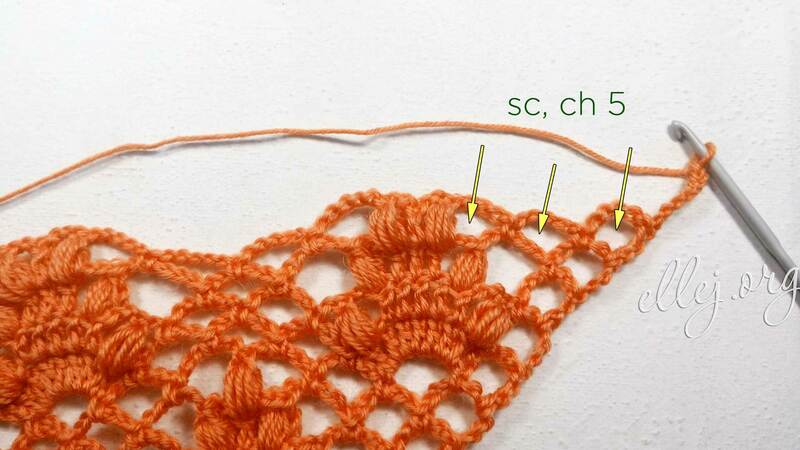 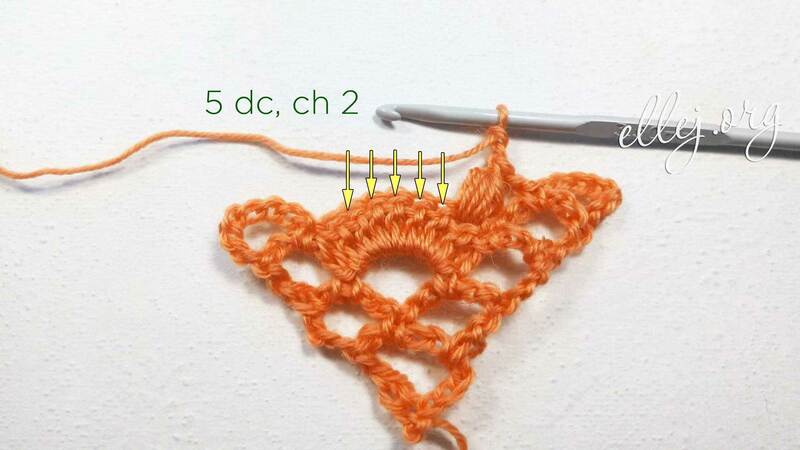 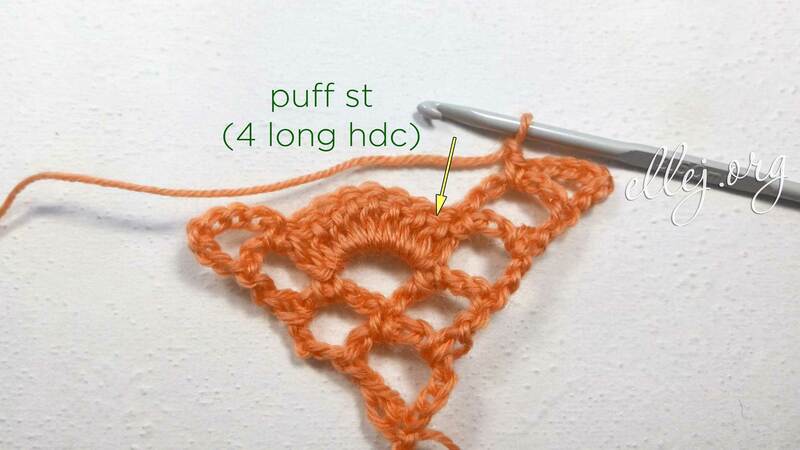 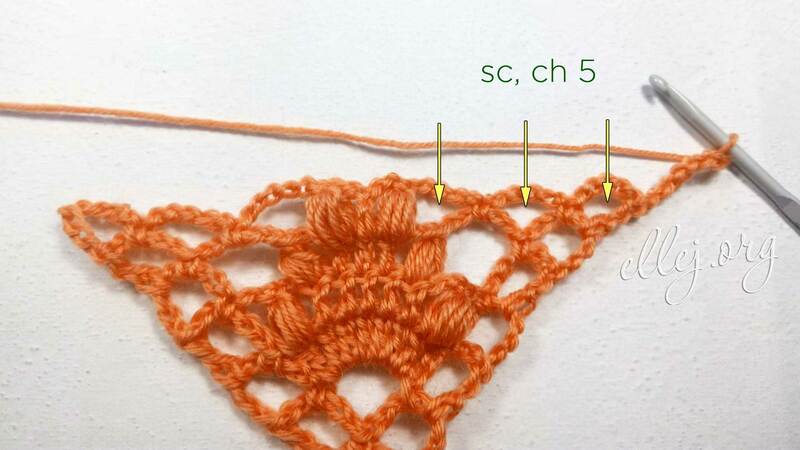 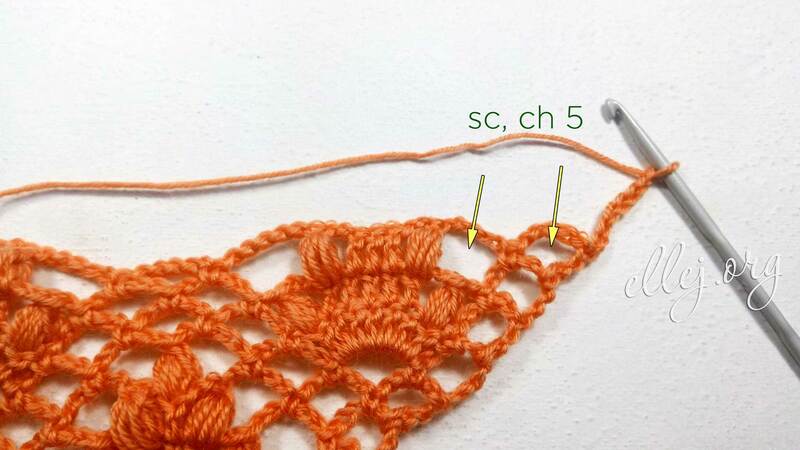 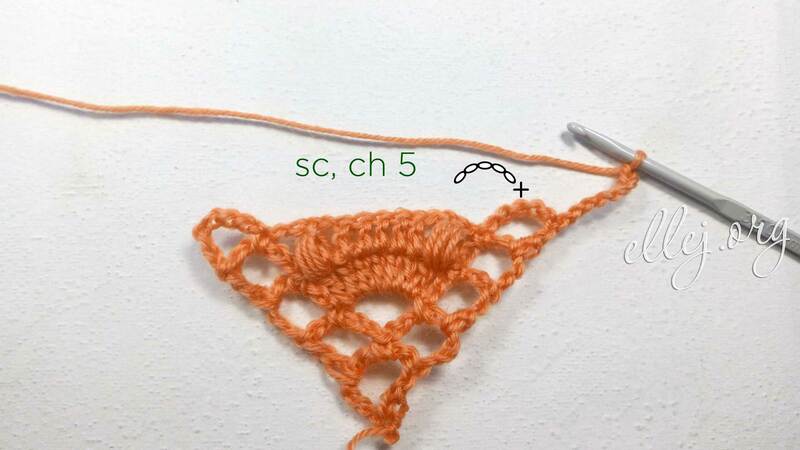 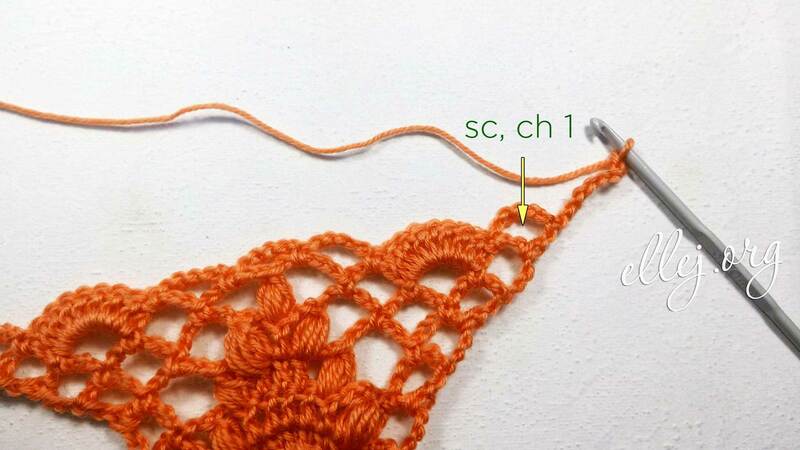 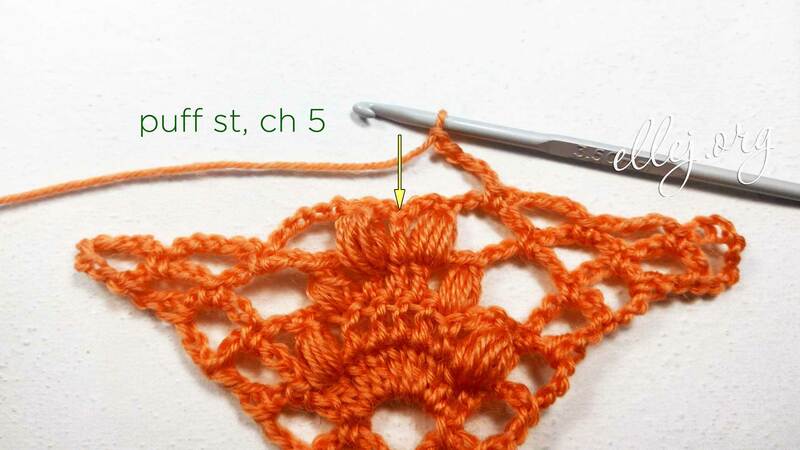 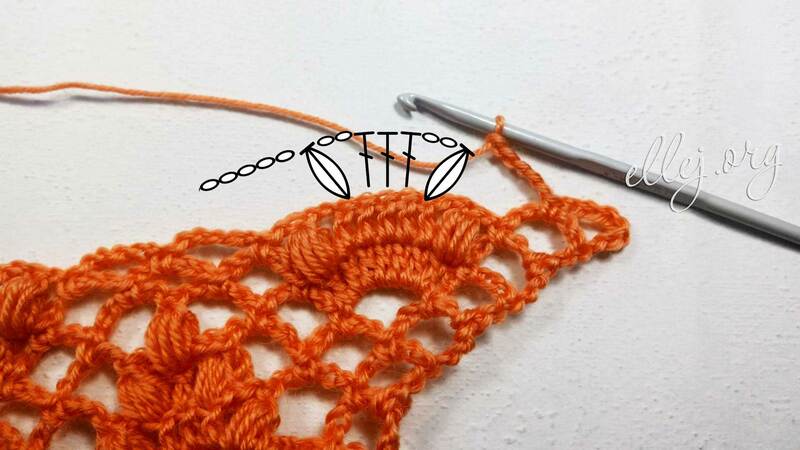 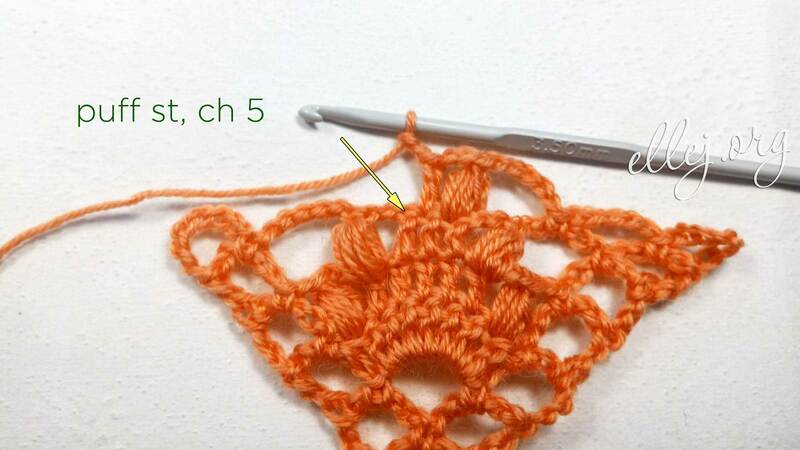 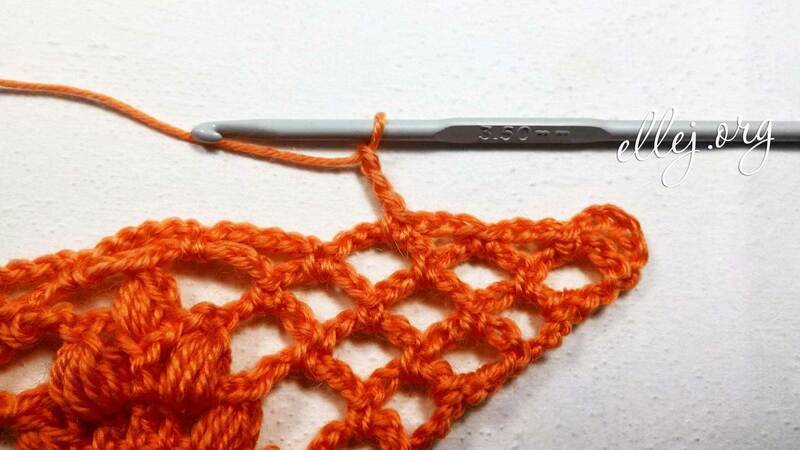 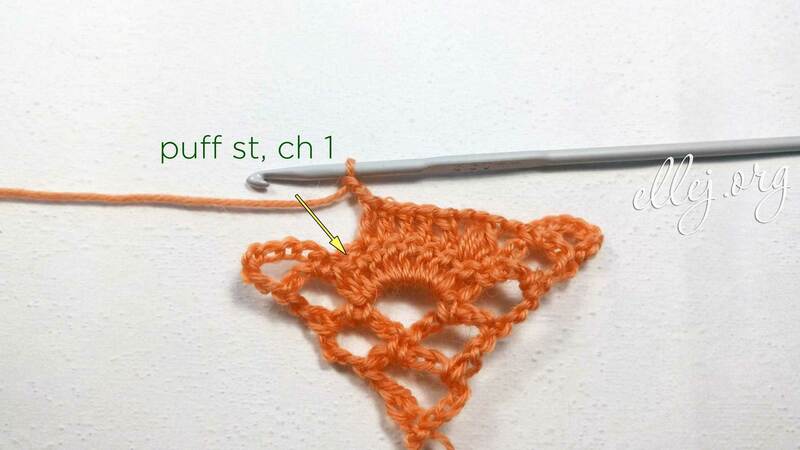 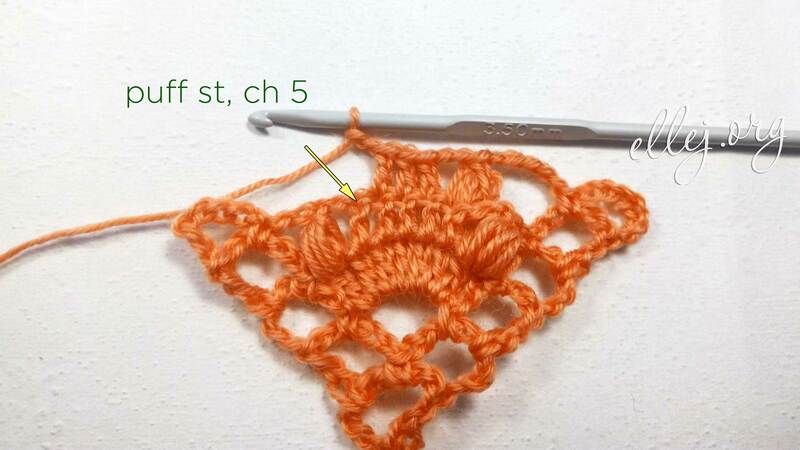 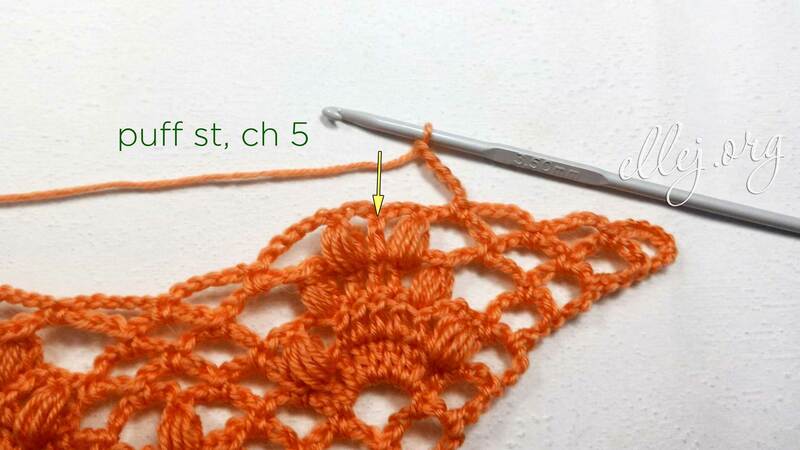 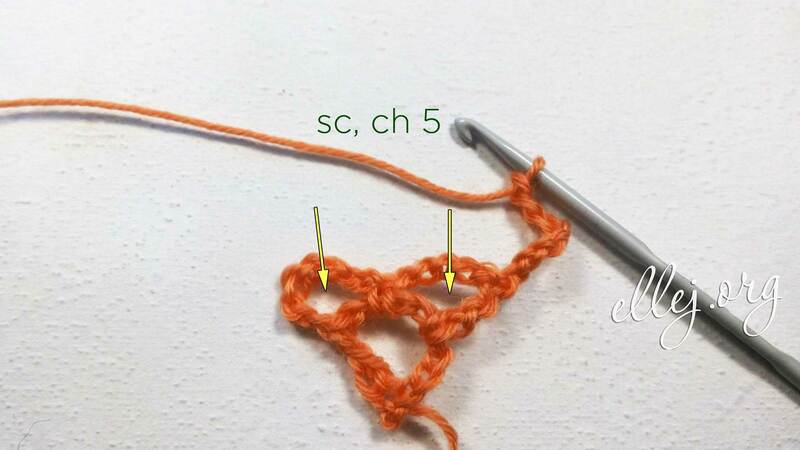 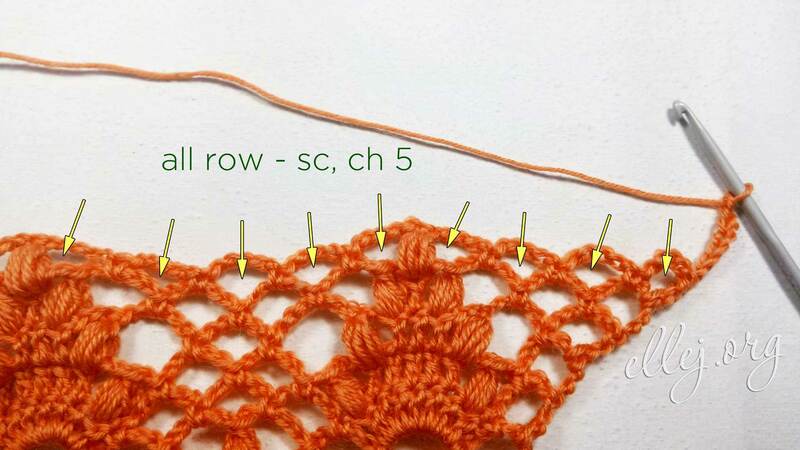 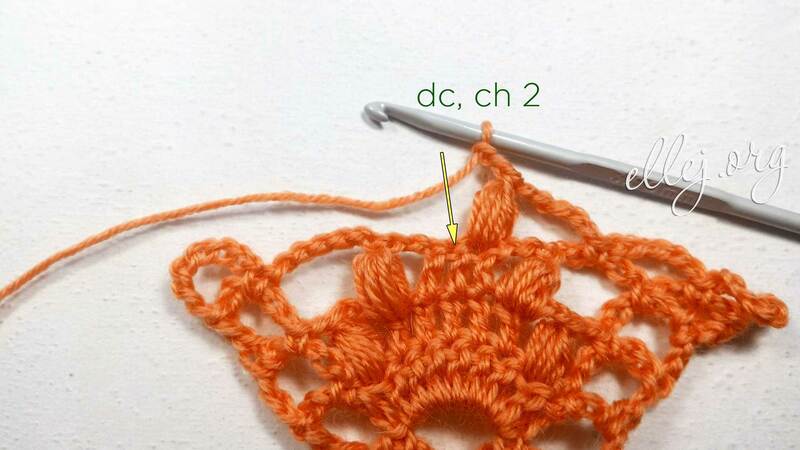 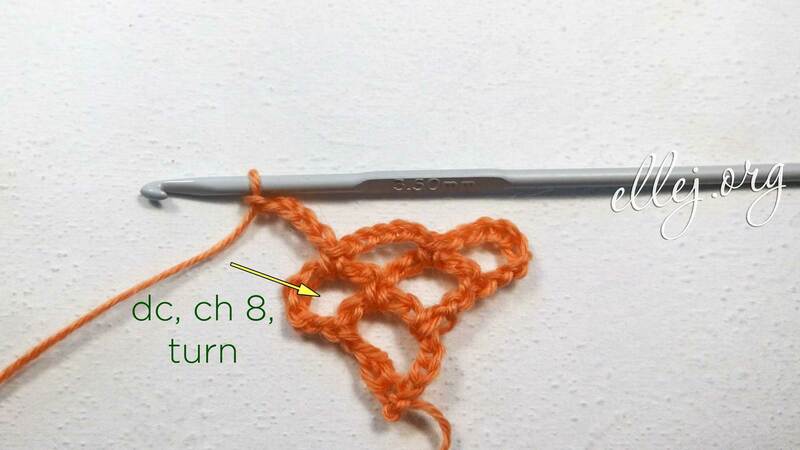 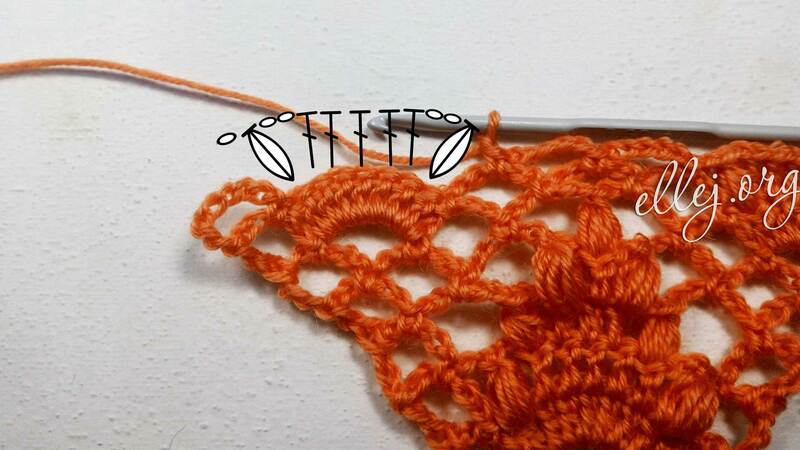 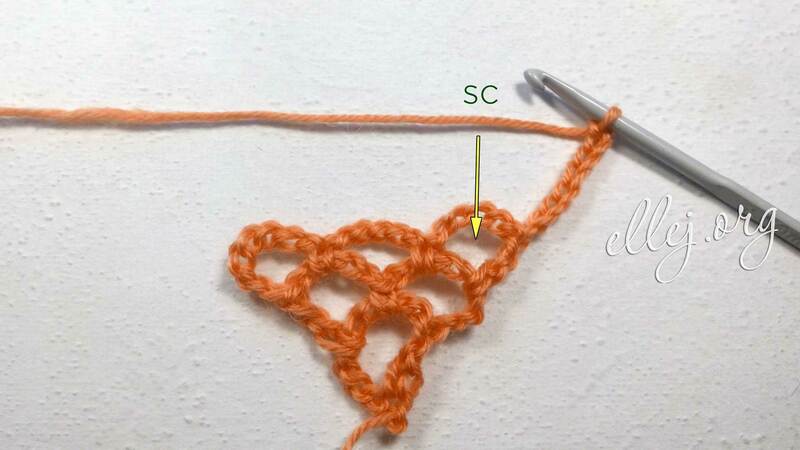 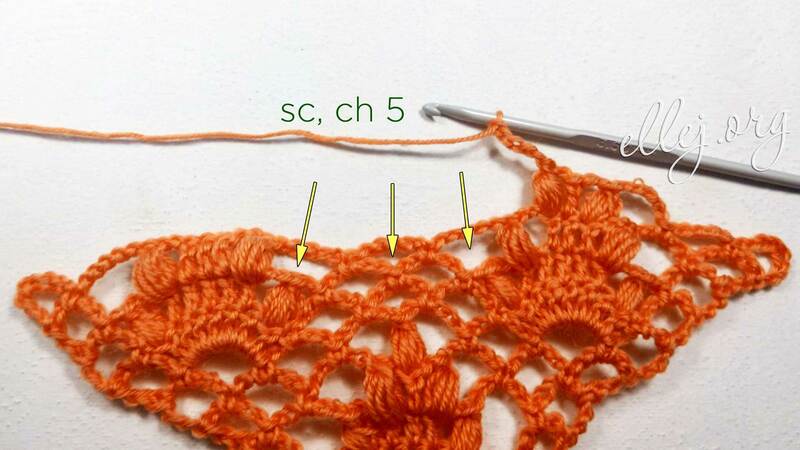 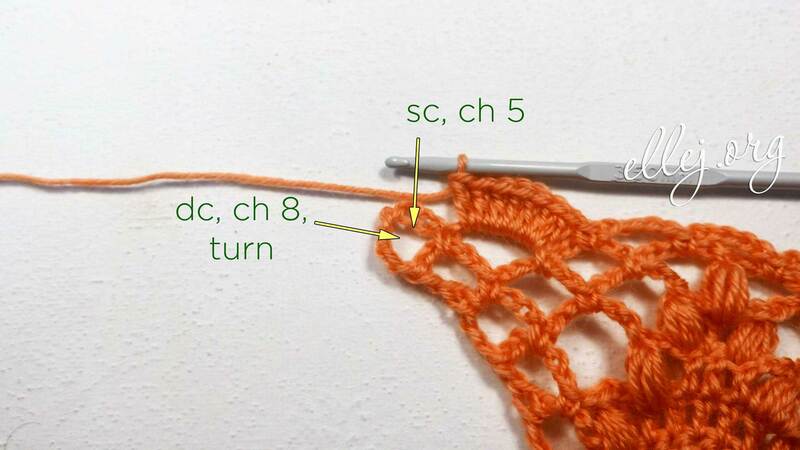 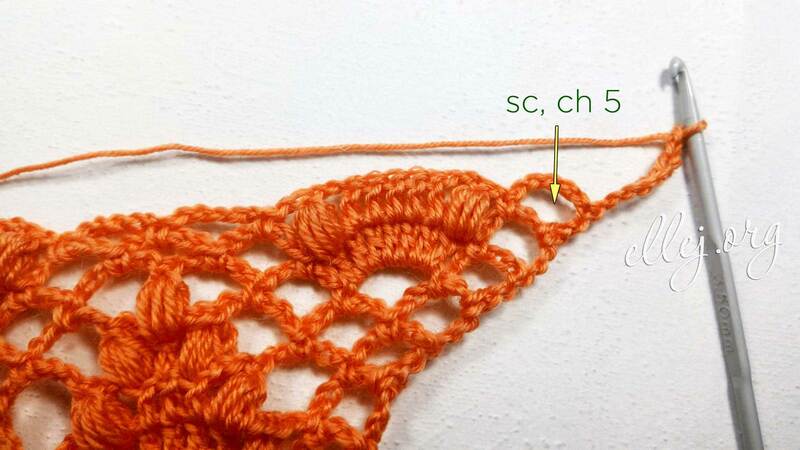 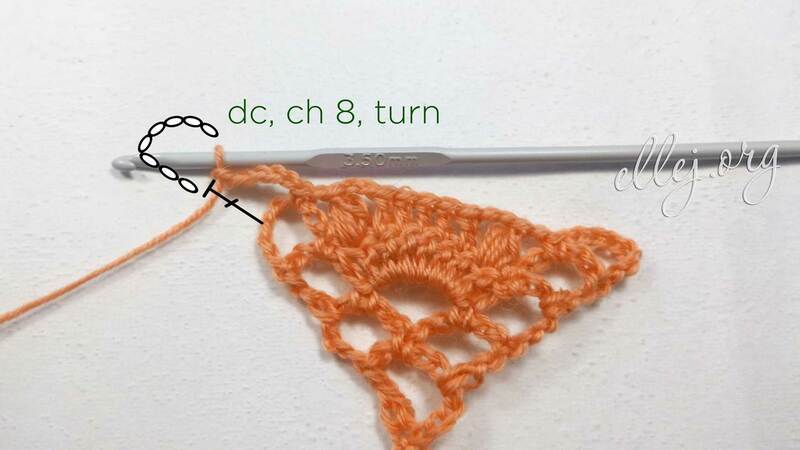 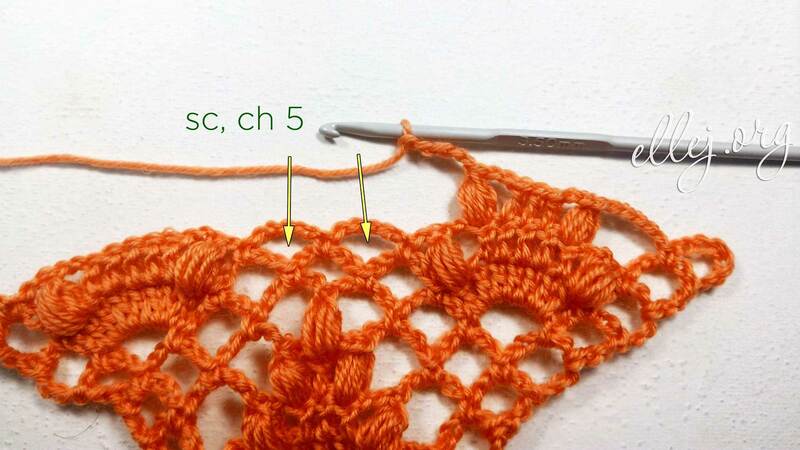 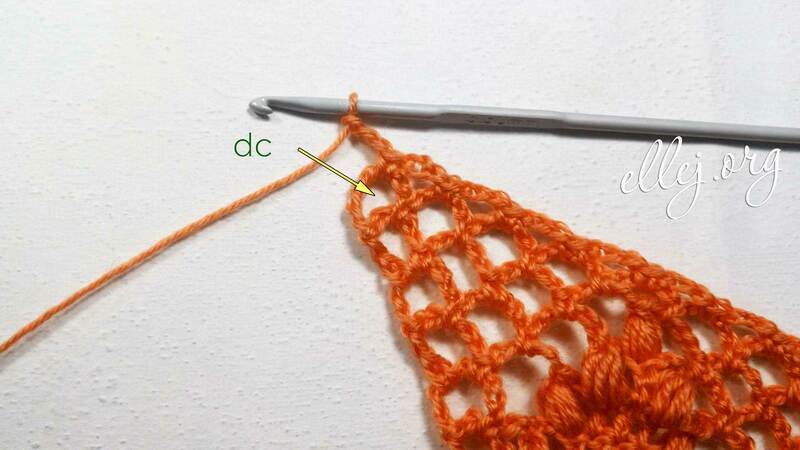 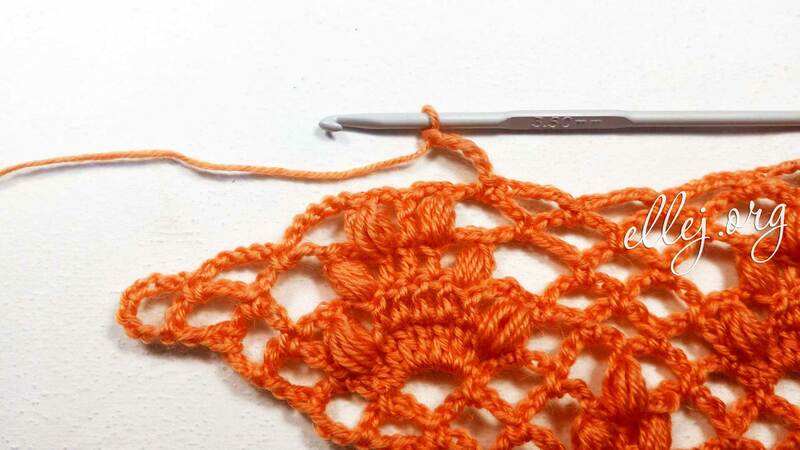 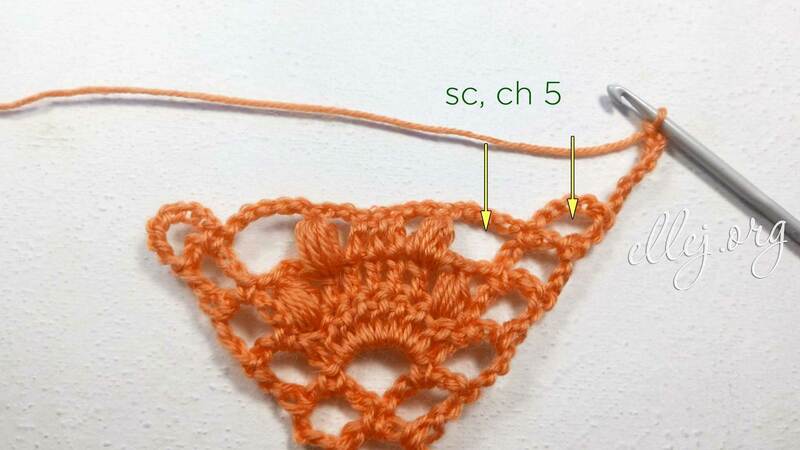 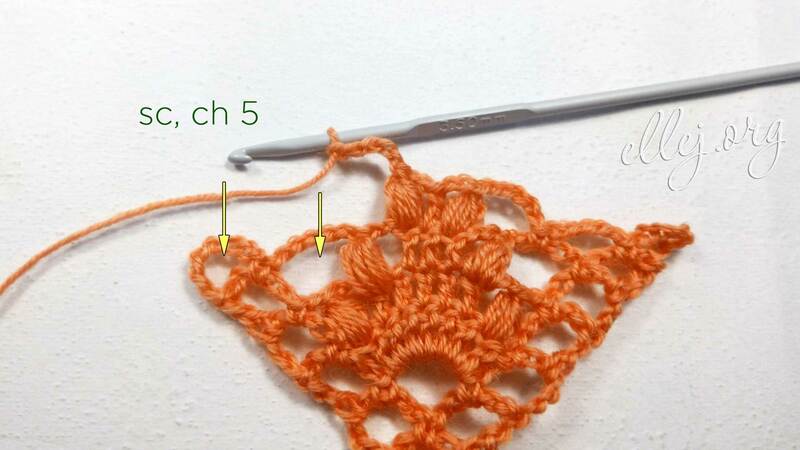 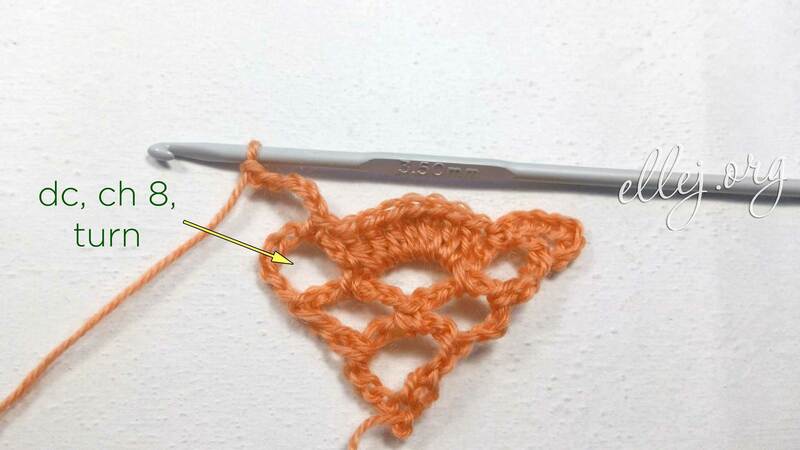 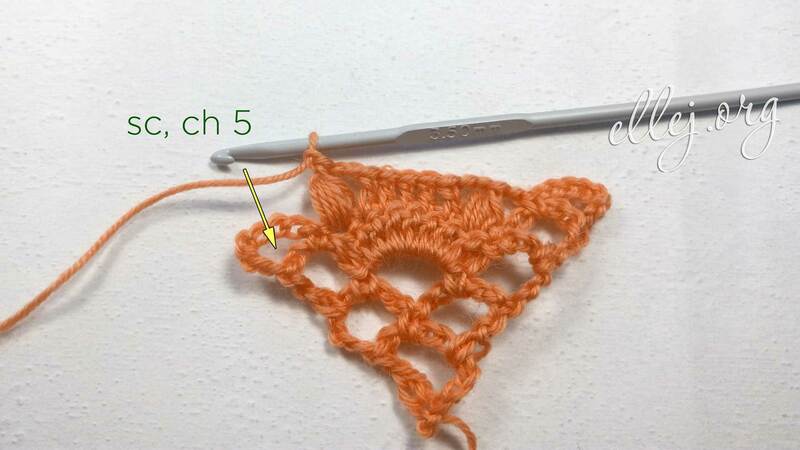 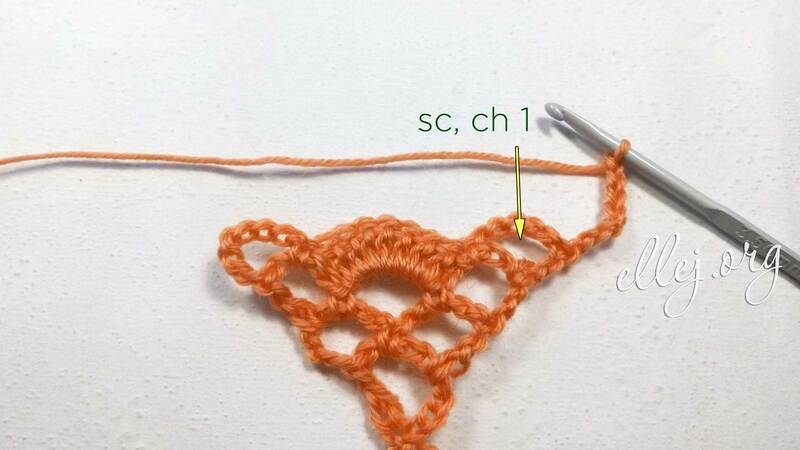 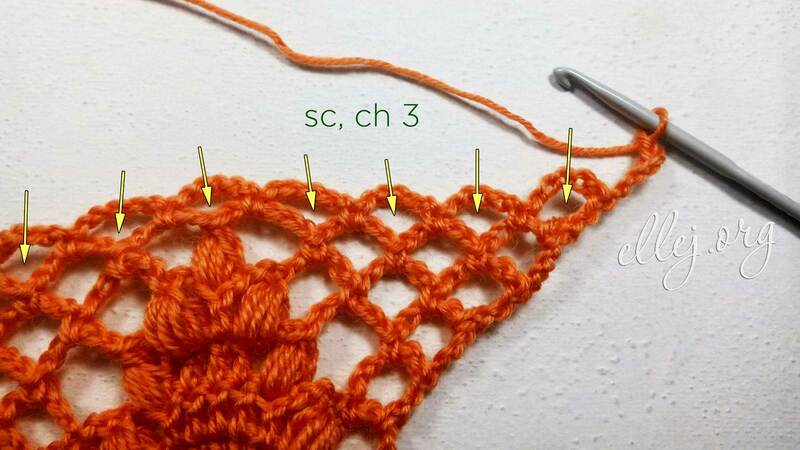 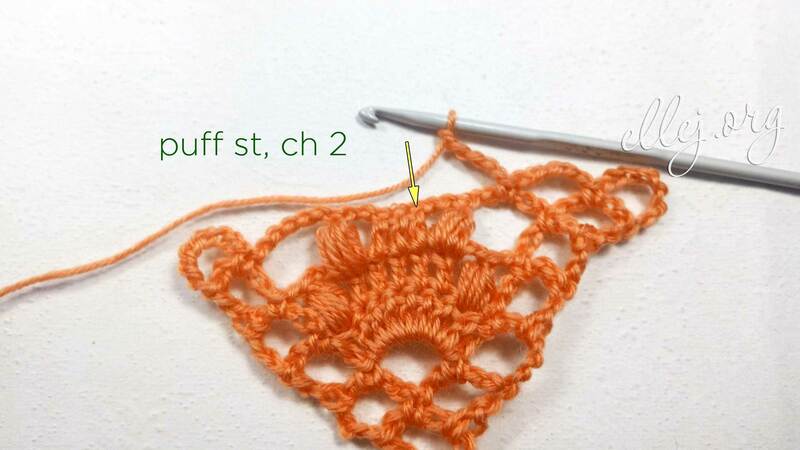 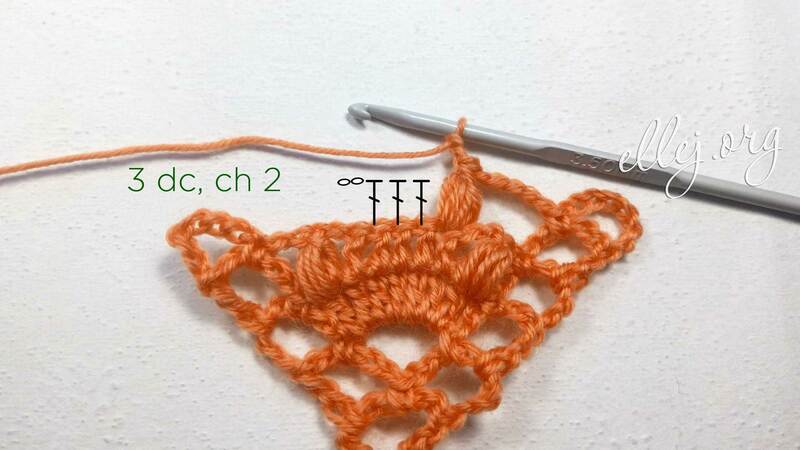 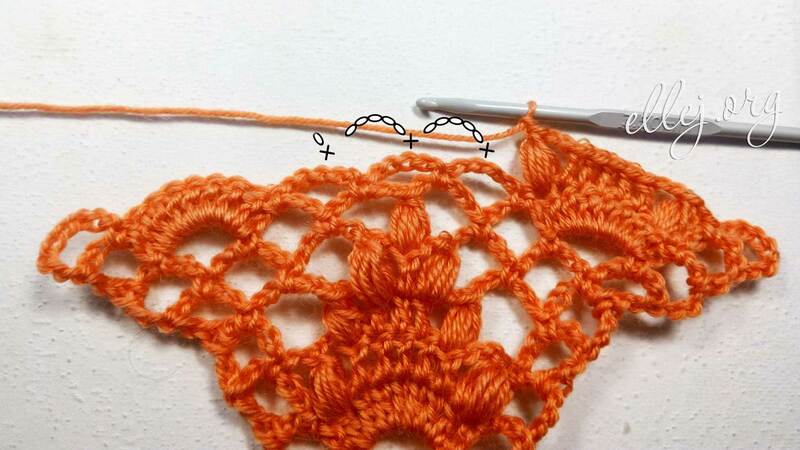 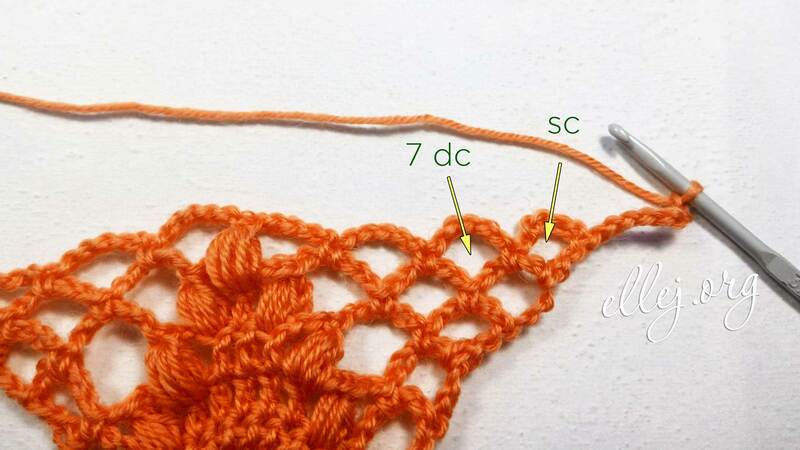 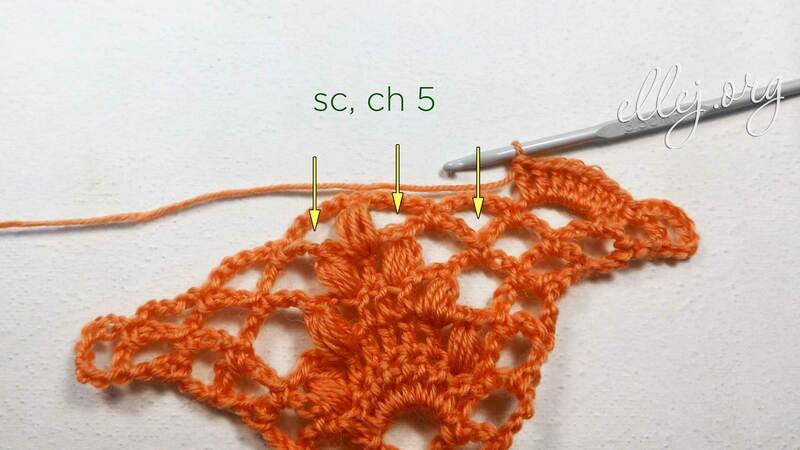 An openwork pattern for your shawl or scarf. 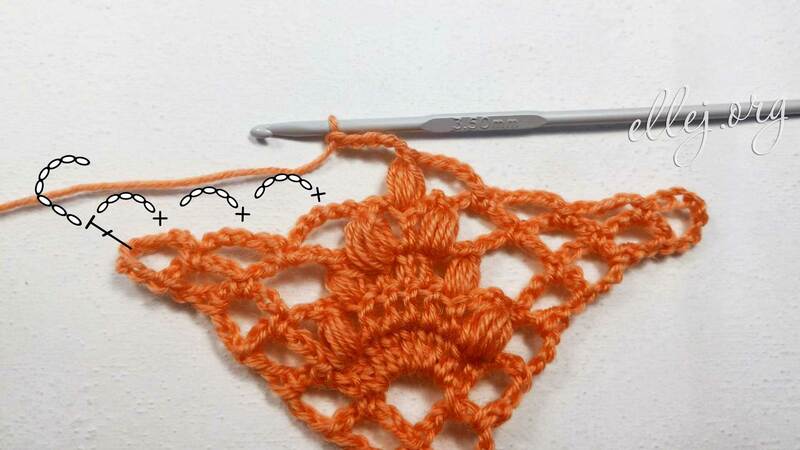 These are acacia flowers on the crocchet mesh. 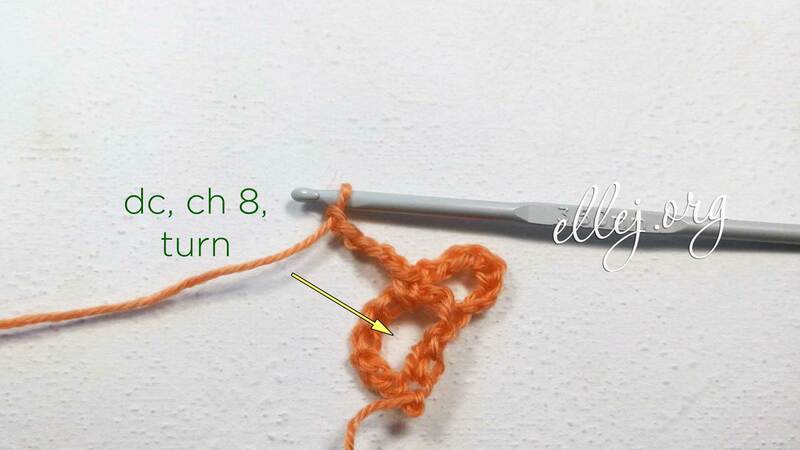 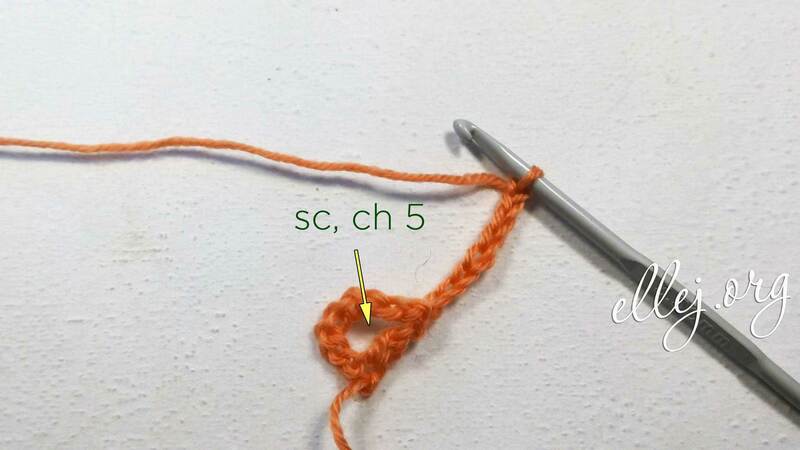 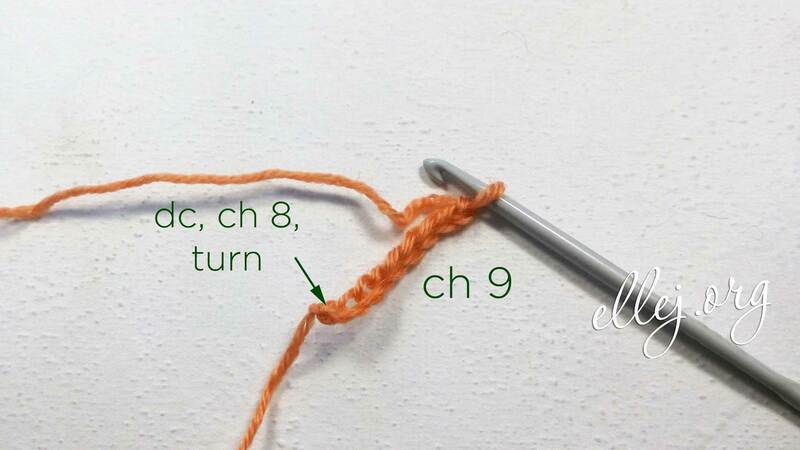 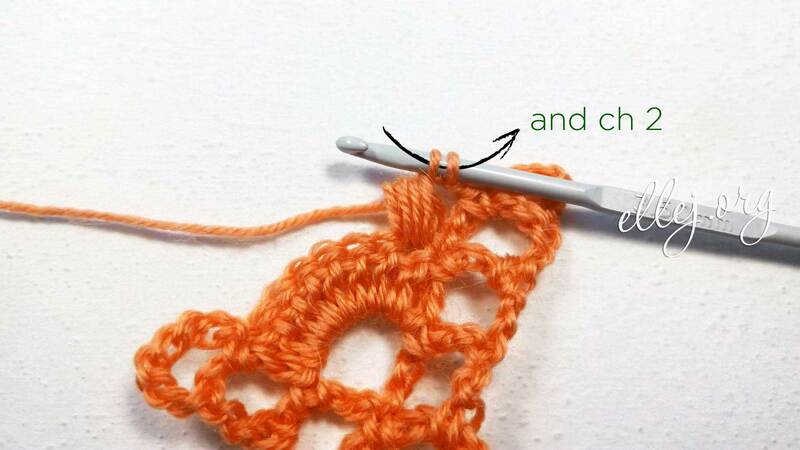 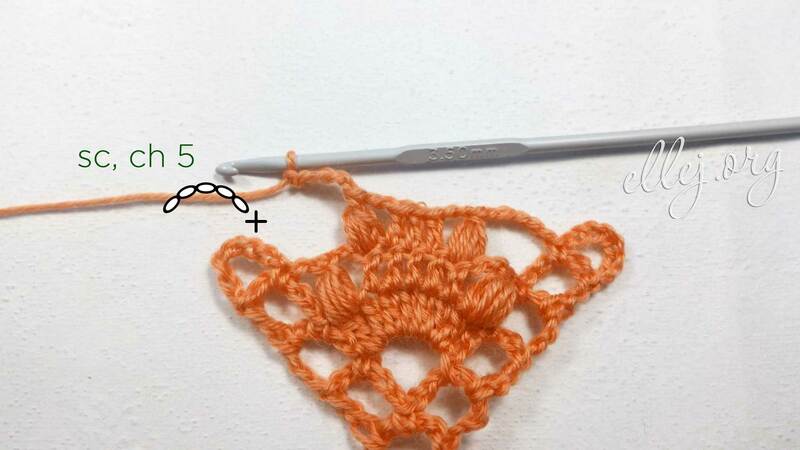 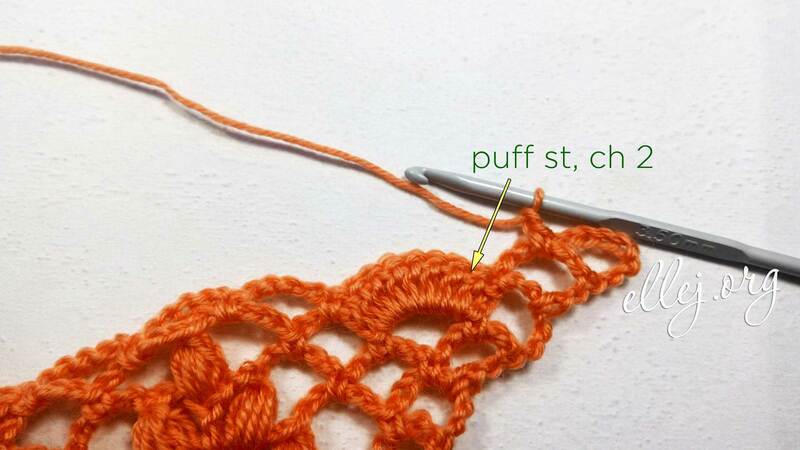 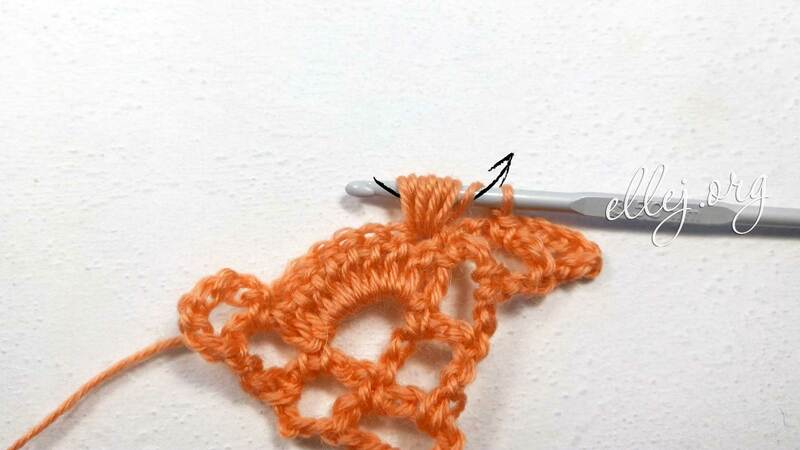 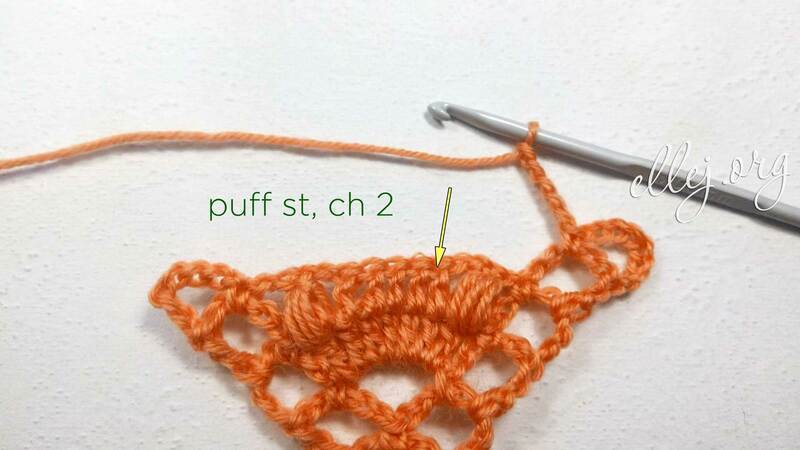 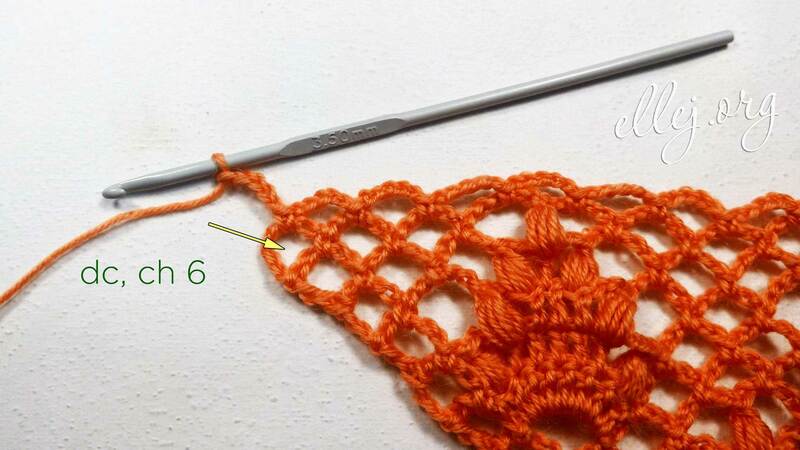 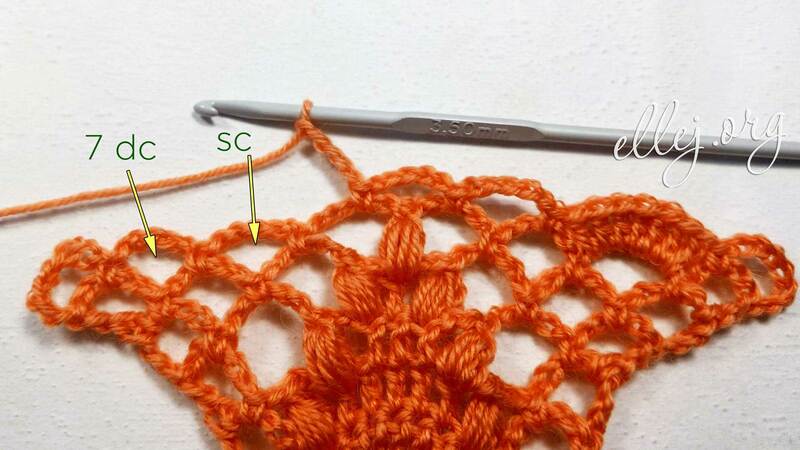 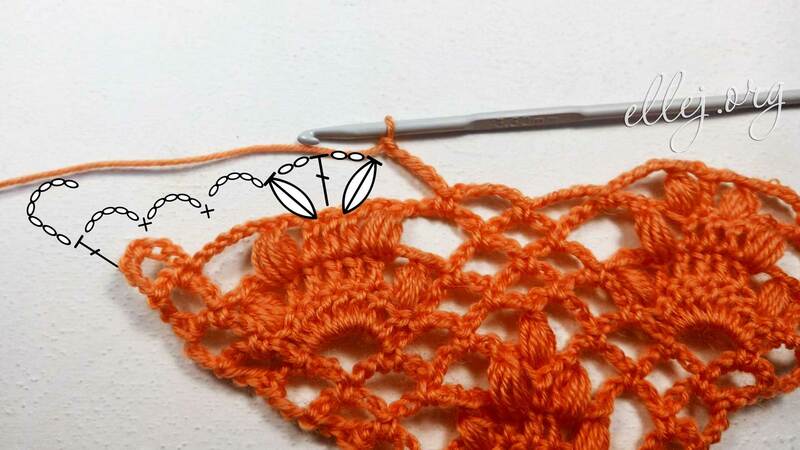 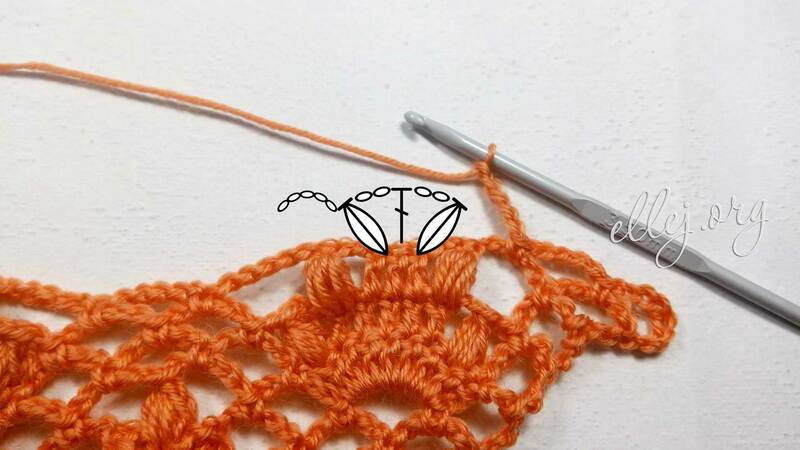 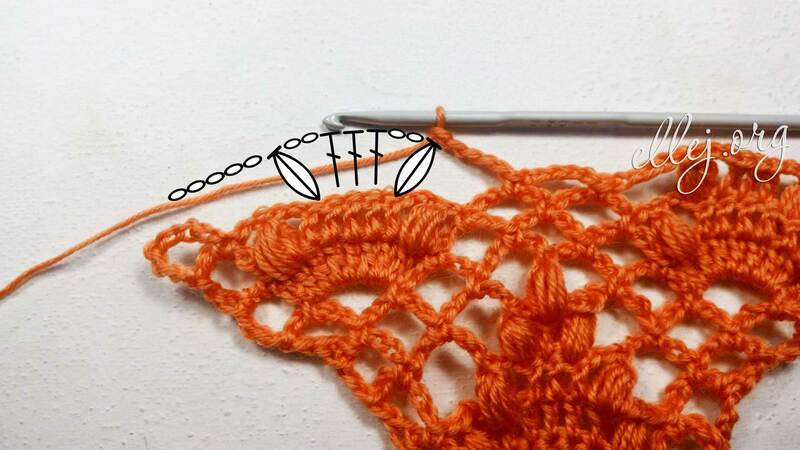 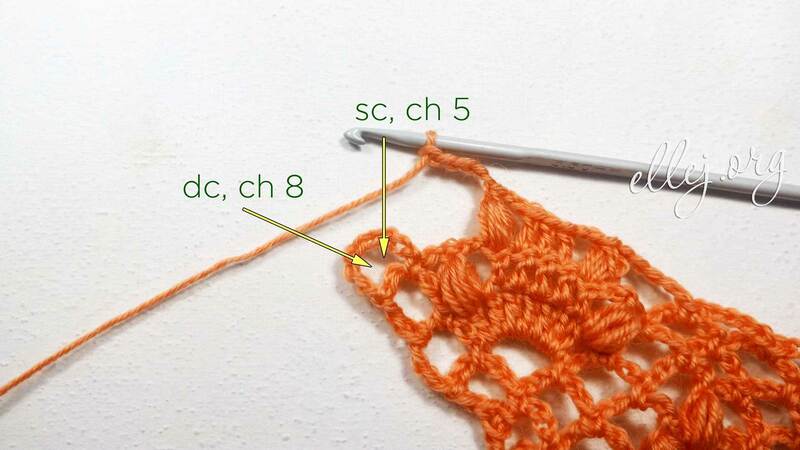 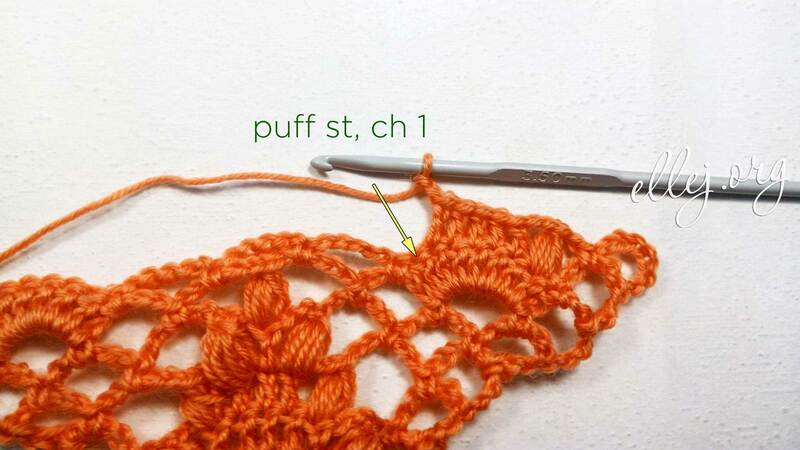 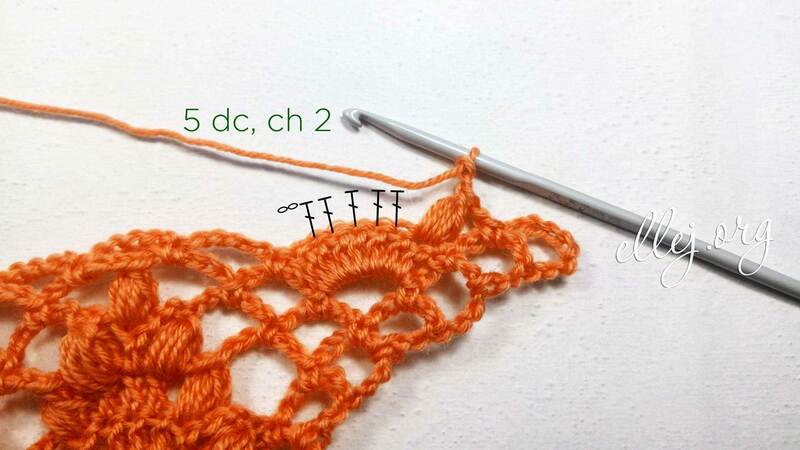 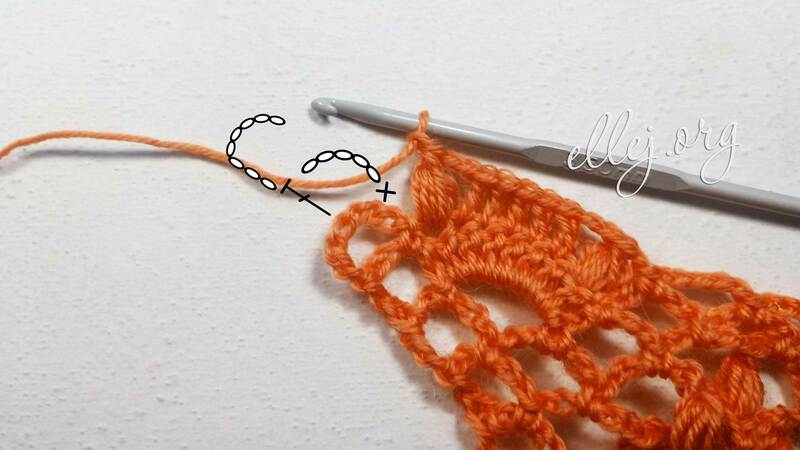 Choose the yarn for the shawl from which you will get beautiful puffy stitches. 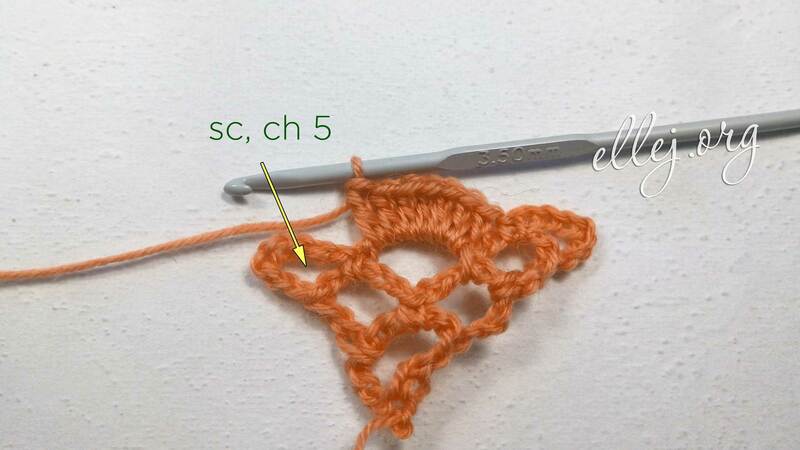 For example, Alize Real 40 or mohair. 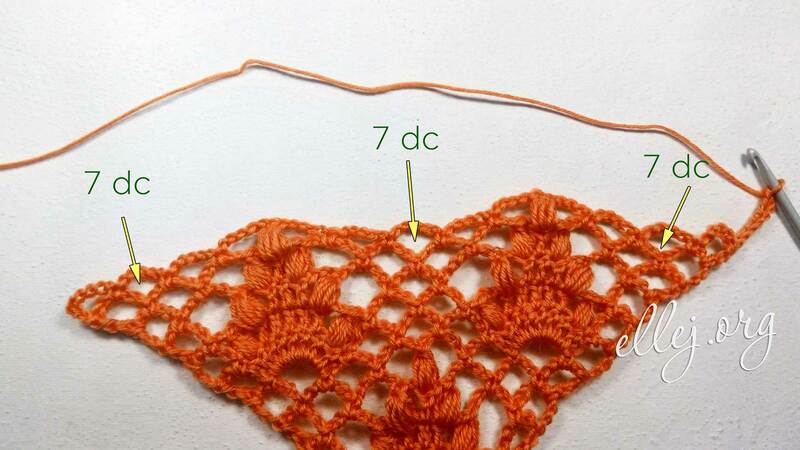 From dark blue yarn I tried work puffy stitches not into the top of the dc, but in the chains around. 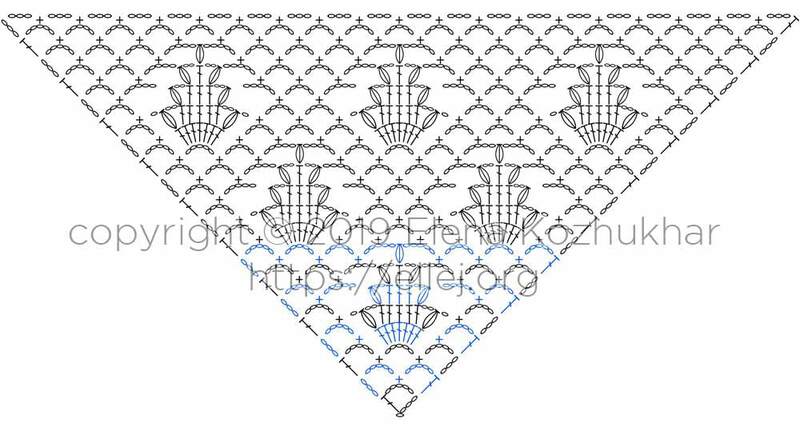 This is an option.